You've got a website you've invested lots of time and money into in order to make it into a revenue-producing asset. As long as it's doing its job, everything is smooth sailing. It runs, engages with your customers, and makes money for your company. Not a cloud in the sky! But what if that asset suddenly stops working? One day, you discover that your web address is redirecting to someone else's site. An adult videos site, say, or maybe a website that attacks your visitors with viruses. Perhaps you find that no one can access your website because it's been locked down with ransomware, and the hackers are demanding an exorbitant sum to restore it. Maybe sensitive personal details about your customers start showing up online for sale to the highest bidder. Or maybe your website just ceases to exist. Or, maybe no one receives your emails anymore. And it turns out that your IP address has been flagged as a spammer, because someone broke in and installed spambot software. You've been sending out thousands of spam emails every day without even realizing it! Imagine the panic and the frustration that sets in immediately. Imagine the feeling of powerlessness. Imagine the potential liability, both legal and financial, that your company faces for losing customers' personal details. How much would something like this cost your business? Would you even be able to stay in business? No matter how you look at it—let's be honest—you're up the proverbial creek! Every day, you log on to your website and you find that absolutely nothing has gone wrong. In fact, while you were out of the office overnight, a few new leads or sales came in. This is great! Your website is doing its job as your 24/7 employee. You have a repository of backups stored in a secure off-site location—the latest taken just yesterday—so if anything ever does go wrong you'll be back up and running in no time with minimal revenue lost. After glancing at your report you file it away, and then you comfortably and confidently get on with your day of growing your business. Or perhaps going to the golf course, or taking that hike you've been thinking about for a while. Which scenario would you rather experience? For those who chose scenario #2, you're in luck! We offer Website Care Plans to all clients after we've completed the build of your website. After all, we spent a lot of time on your project too—we'd hate to see anything happen to your website! Every Website Care Plan comes with an array of services. We deploy enterprise-grade software and our own diligent work to keep you and your website in business. Has your website been hacked today? ...How about today? Daily security scans ensure that your website remains pristine and uncompromised. How often does an average website come under attack? It's more often than you probably think. Malicious file uploads, fraudulent login attempts, unfriendly bots—it all adds up to a constant stream of attacks on your website. Sometimes these attacks come at the rate of several hundred per hour. With our firewall working to keep the no-good-niks out, you don't have to worry about a thing. Out-of-date software is one of the most common ways websites get hacked. Once a vulnerability in a theme or plugin is discovered, it's open season on any site using that software. If your site is one of those, you are a duck that is sitting. Don't be a sitting duck. Even if you take every precaution, something might still go wrong. We take a backup of your website every day and store them on a secure, off-site server. That way if anything ever does go wrong, we can get your website back online as soon as humanly possible. 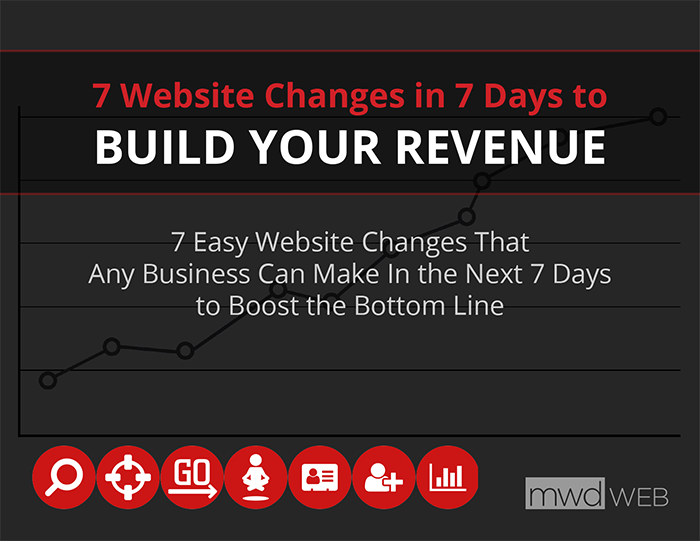 If your website goes down, it stops making money for your company. Not good! On the off chance that something does go wrong—your website gets hacked or the server crashes, for example—we'll fix it all up. You'll never know the difference! "What do I do on this blog editor page?" "How do I upload an image?" "What's the deal with this on-page SEO stuff?" As a member of one of our Website Care Plans, you get access to our library of on-page video tutorials. Just click the "Help" tab on any administrative page and you'll see tutorials for any questions you may have about your current page. Read it carefully, or just glance at it, or ignore it completely - your choice! If you should ever decide you want to cancel your enrollment, you can. We'll finish out the month of service, and we'll send you on your way with no further obligations. Of course, we hope you'll stay forever! We're pretty cool folks to know, if we do say so ourselves. We'll provide up to 5 small support requests every month (does not roll over). No extra charge; it's built into your care plan. Larger tasks such as adding a brand new feature do not count as a small request, and these will result in a formal proposal. Spam comments gum up your site. At best they're a nuisance; at worst, they can lead to your getting hacked. Even the best anti-spam plugins still miss things sometimes. That's where we come in. Website databases can become very big very quickly. When a database becomes outlandishly large, it can slow down website performance because it takes longer to find the requested information out of the hundreds of thousands of records. If your site loads slowly, the search engine gods will smite you—old school! We take care of that for you by cleaning and optimizing your database on a regular basis. You really shouldn't be uploading gigantic pictures to your website, unless you're a professional photographer showing off your work. Great big pictures slow your page loads way down, and that hurts your search engine performance. But, we get it—shrinking down your photos from last week's big event just isn't the highest or best use of your time. That's why we'll comb through your site once a month and shrink down any oversized images we find, so you won't have to worry about it. We solve both of those problems by running regular scans for broken links. These happen most often in blog posts. This keeps the search engines and your visitors happy! Instead of just five support requests per month, we'll take care of three times that amount, for a total of fifteen. Like the Gold plan, these do not roll over. Support requests for the Silver and Gold plans are addressed within 2 business days. Requests from Platinum members are addressed within 1 business day. Google and Bing, the two largest search engines worldwide, each offer a webmaster tools feature. Keeping on top of reports from these tools, and adjusting your website accordingly, can boost your search rankings enormously. As part of the Platinum package, we'll keep up with these for you. Even if we didn't build your site initially, we may still be able to get you taken care of with a Website Care Plan. We'll run a Website Evaluation to learn more about your website, how it was built, and any potential problems that may come up. If we're a good match for your website, we'll conduct a thorough Website Security Audit to bring your site up to best security practices, and after that we'll deploy our care plan. Contact us and we'll see what we can work out. P.S. These care plans can also be great for your own clients if you're an agency in a related field. We'll gladly white-label our services for you, just like we do with our custom development solutions. Ready to set us loose on your website? "I need experts like you!" The phrase "vulnerability that had the potential to wipe out your site" is the absolute #1 reason I need someone like MWD Web who are experts with all this to make sure nothing bad happens. Thanks as always for keeping the website safe and running smoothly!"